Sporting handcrafted details such as a cabinet built from a great grandmother’s table, vinegar stained cedar and a swiveling copper bathroom sink, the China Rose Wellness Wagon is a lot more than meets the eye. The Wellness Wagon is owned by China Rose and A.J. 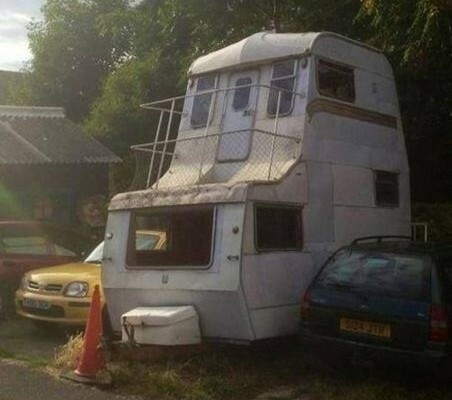 Zamora of Napa. China Rose and A.J. 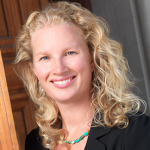 Zamora of China Rose Wellness in Napa, California wanted to bring their mission of empowering people to be more healthy through inspiration, education and motivation in a unique way. 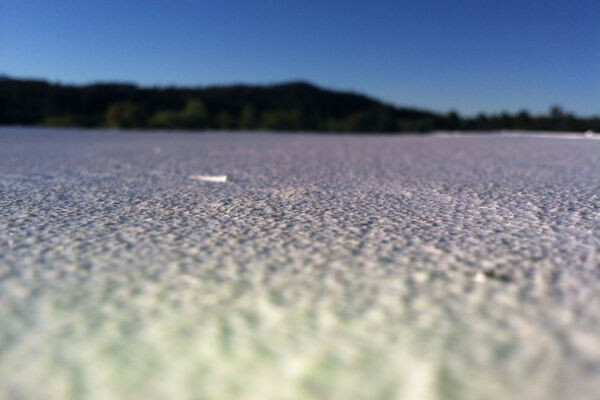 Much of the wagon is made of non-toxic, natural materials. 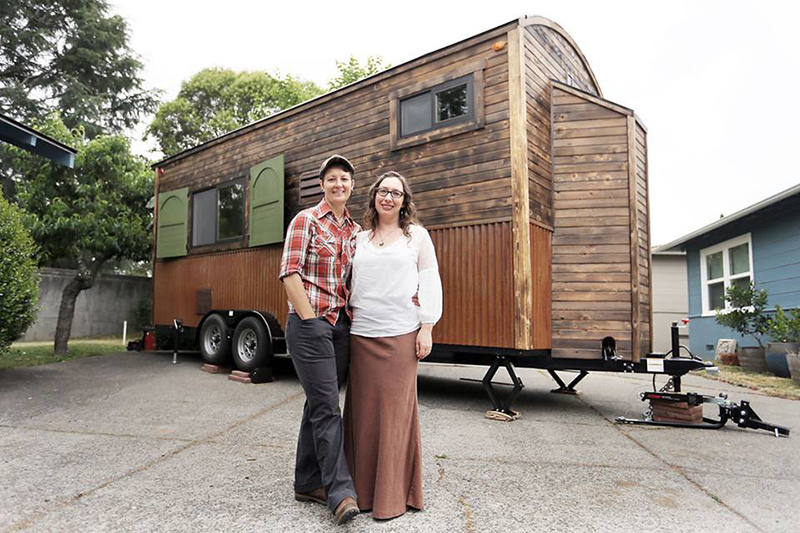 The women commissioned Tiny Idahomes near Boise to design and build them a towable home on wheels reminiscent of the traveling medicine wagons of old – with a few modern conveniences. 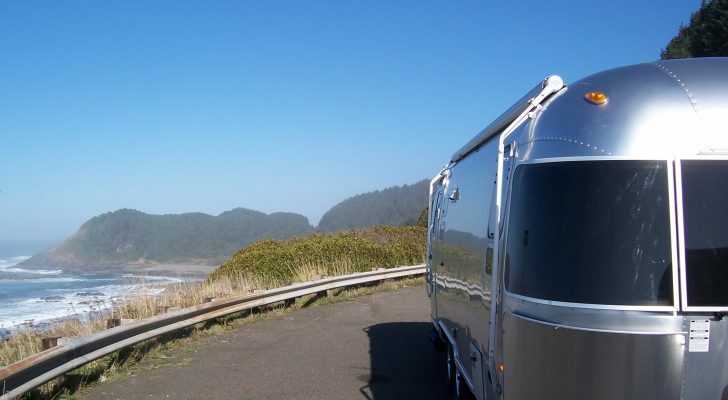 The wagon can be towed just like a regular camping trailer. 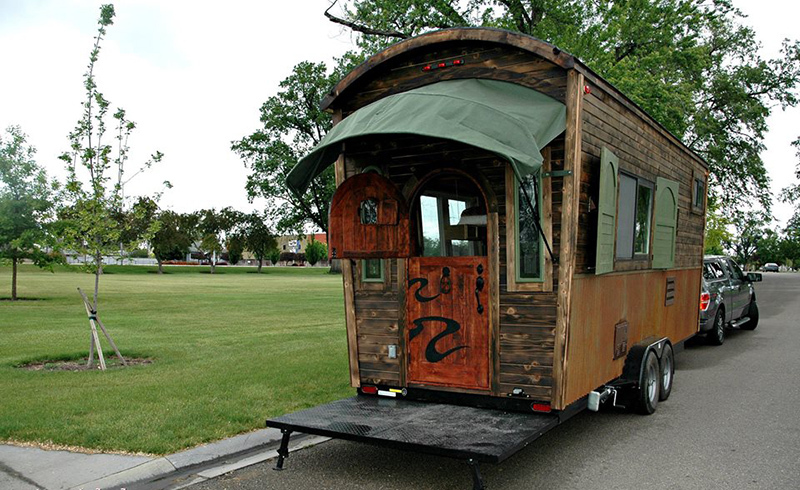 The China Rose Wellness Wagon is 175 square feet of ingenuity and beauty. It’s made of salvaged materials, non-toxic finishes and furnishings and even includes a living wall of healthful herbs that live in the shower. China Rose and A.J. 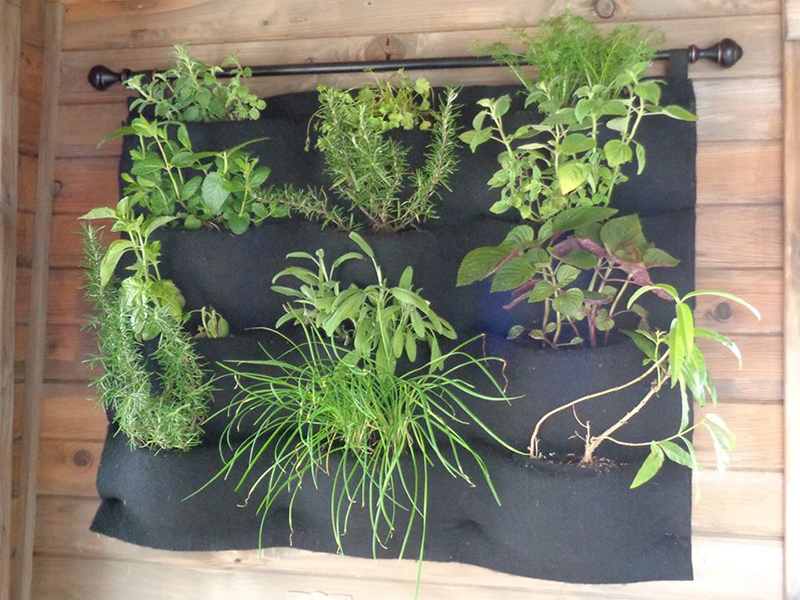 hang the herbs outside in the sun when they set up camp. The “wall of herbs” hang in a curtain in the shower. 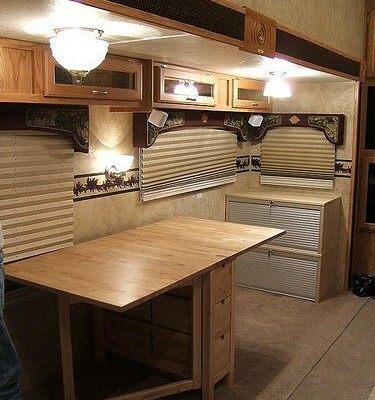 Another unusual item in this wooden RV includes the Samina Sleep System bed which lowers down from the ceiling on a tow hitch with a remote control. During the day, the bed raises up into the ceiling to be out of the way. The Samina sleeping system raises up into the ceiling when not in use. 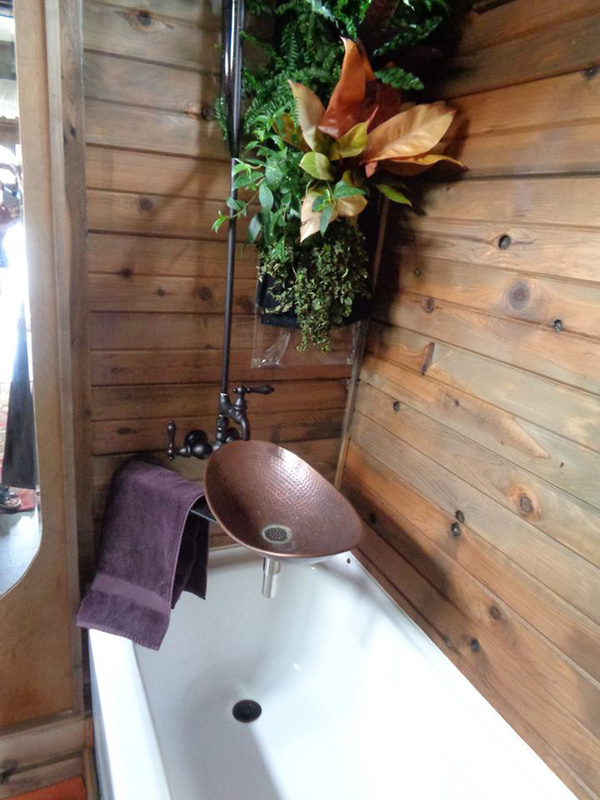 The tiny wagon not only includes a shower and a Separatt composting toilet in the bathroom, but also a swiveling copper sink designed by A.J. The sink swivels into and out of the shower to make room for bathing. The women also designed the Dutch door at the back of the wagon. 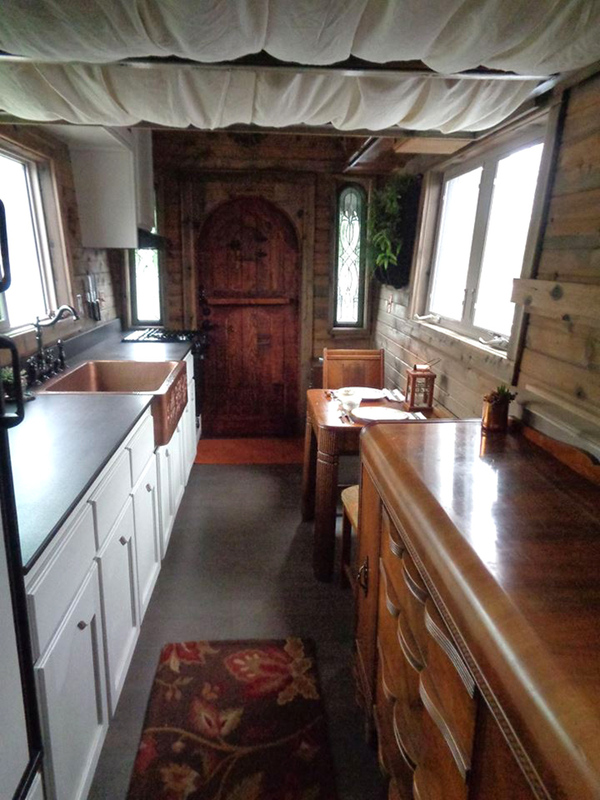 Dino, a designer at Tiny Idahomes built the wagon’s cabinets out of a great grandmother’s dining set and chair backs. 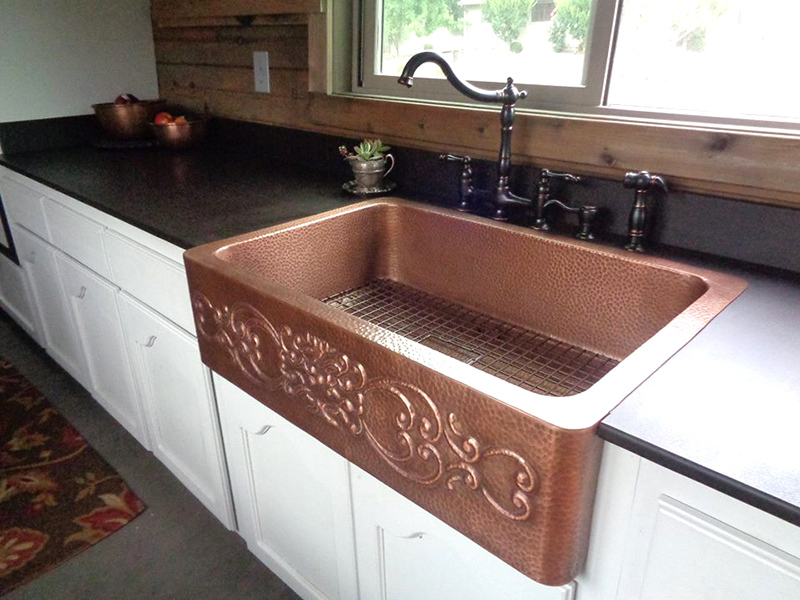 The large kitchen sink is made of copper. The 19th century looking wagon has a few modern amenities as well. The shower and sinks are served by an on-demand water heater, the kitchen has a three burner stove, paper stone countertops and a propane/electric refrigerator. The bathroom sink swings out from the tub. In addition, the entire wagon is insulated with Rockwool (made from basalt and chalk) and a rain harvest system is built into the truss system. The water fills a holding tank which is then pumped through a filter and used for drinking and washing. 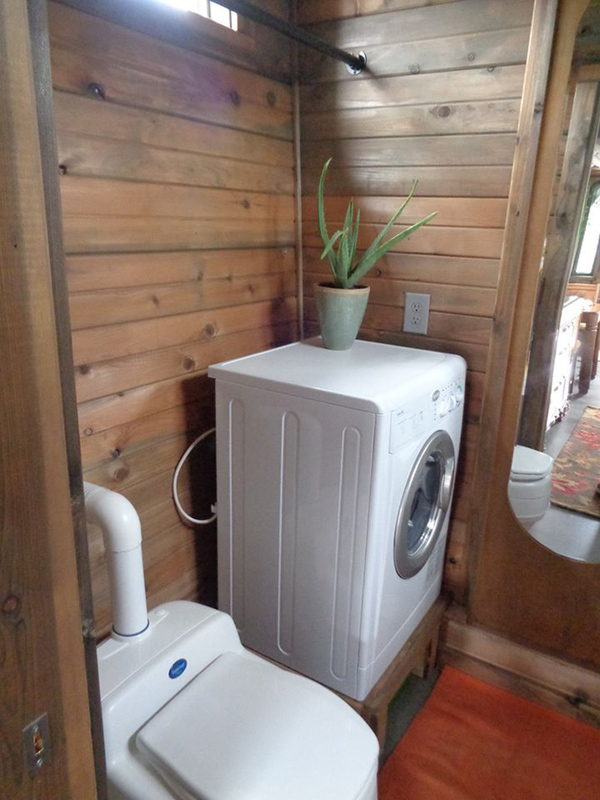 Speaking of washing…the wagon even has a washer/dryer combo. 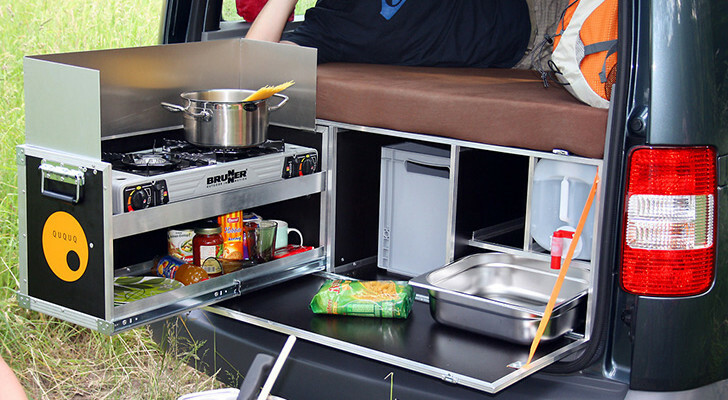 The wagon even has a composting toilet and washer/dryer combo. 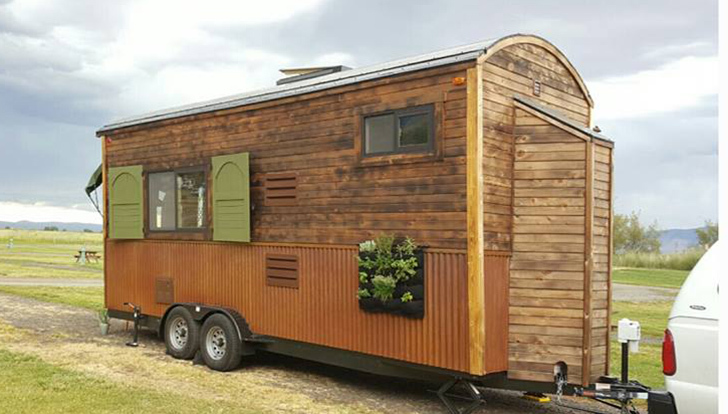 Tiny Idahomes is a family run business that builds custom RVs and tiny homes on wheels. 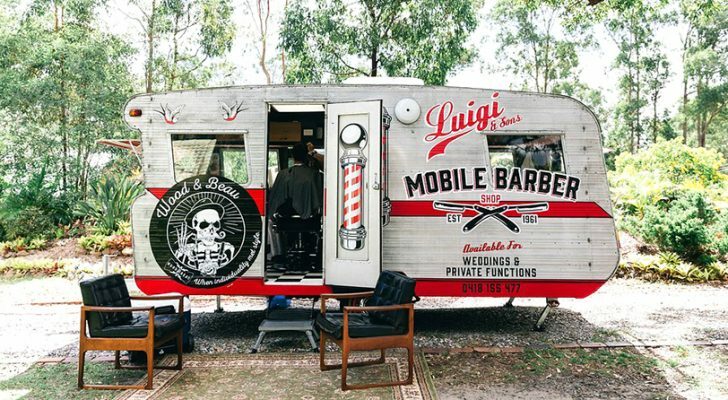 They offer full design services, plans and expert advice if you want to create your own wooden wagon on wheels as well. 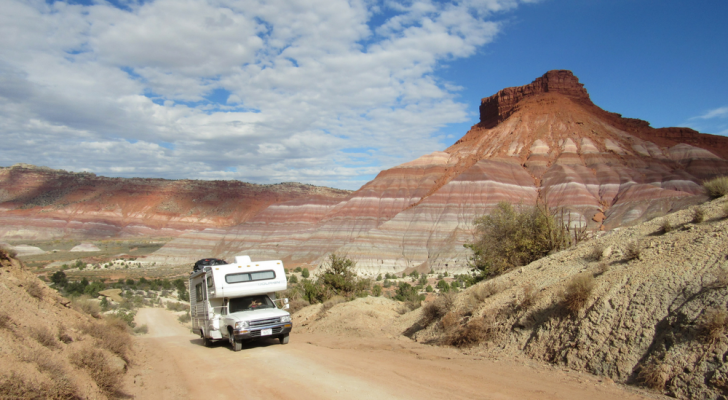 The China Rose Wellness Wagon was built for $80,000 and recently went on a three month “traveling medicine” tour.